The rector of Dalziel High has paid tribute to pupil Abbie McLaren who died after being hit by a car in The Loaning yesterday (Tuesday). The 12-year-old was rushed by ambulance to the Royal Hospital for Children in Glasgow at around 4.15pm, but couldn’t be saved. 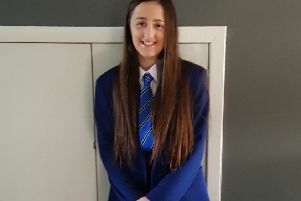 Robert Birch said: “This is a terrible tragedy and I know I’m speaking on behalf of all pupils, staff and friends at Dalziel when I say that Abbie’s death has been a devastating loss to the entire school community. “She was a very popular, happy and talented girl who will be deeply missed by everyone at the school and her family is very much in all our thoughts. “She had many friends here and came to school with a bright smile on her face, bringing joy to many. Motherwell and Wishaw MP Marion Fellows has also offered her condolences. She said: “My deepest condolences go to the family and friends of Abbie who has sadly lost her life. 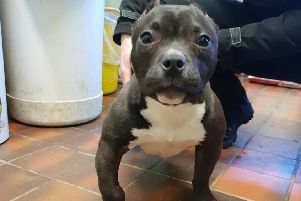 My thanks go to the emergency services who attended and did their utmost to treat her. A GoFundMe campaign set up by the family reached its £1000 target in less than four hours, and a petition calling for traffic control measures on The Loaning has attracted more than 5000 signatures. A 38-year-old man will appear in court tomorrow (Thursday) in connection with the incident.